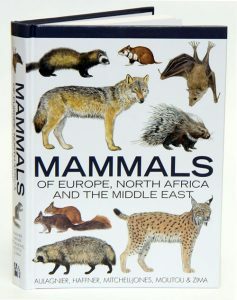 Covering over 400 species, this work presents all of the terrestrial mammal species of the Western Palaearctic, serving as an excellent guide to the great wealth of fauna in this region. Species accounts are concise and authoritative, giving information on size, distribution, habitat, behaviour, reproduction and feeding. Each account is supported by distribution maps and superb illustrations. The book features over 100 plates, comprising of over 600 colour species artworks. Variation between the sexes is illustrated and anatomical diagrams are provided to assist identification. 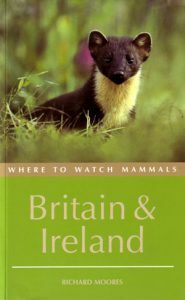 This new guide provides sites and useful information to enable the reader to find and observe every British and Irish mammal species, including all marine mammals. Taking a species-by-species approach, the accounts give some background detail on the range, population and habits of the species, before providing a list of sites were that species can be seen. As broad a geographic as possible is given to maximise the chances of the reader finding a site local to them. The sites are mapped where appropriate, and the text is enlivened by a number of attractive line drawings.